Recently King Features asked their cartoonists to talk about the best strip they’ve ever written or drawn, and how they were inspired to create it. Mine was a recently rejected concept idea. Deciding the particular look of a character in a comic strip is always a challenge. Just a couple months ago Francesco started writing strips showing how the preteen Hil, Faye and Nona would be like in their twenties. 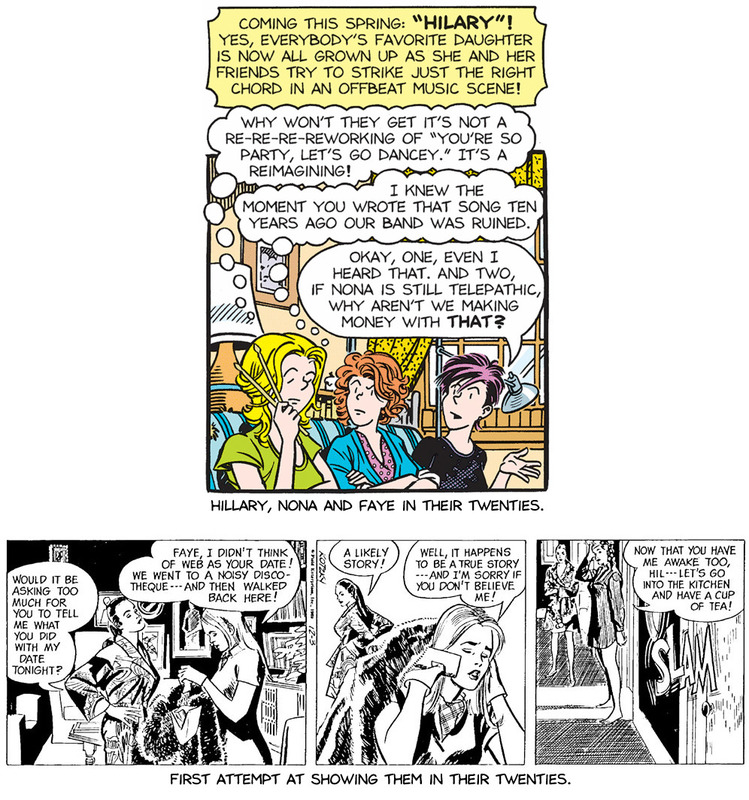 The first strip (in color) is what the characters ended up looking like in the strip. The second version (black and white) is my first interpretation which ended up on the cutting room floor. For examples from other cartoonists, be sure to check out the Comics Kingdom blog. Ask A Cartoonist: Your Best Strip Ever.